Come in on a tuesday and get more bang for your buck! 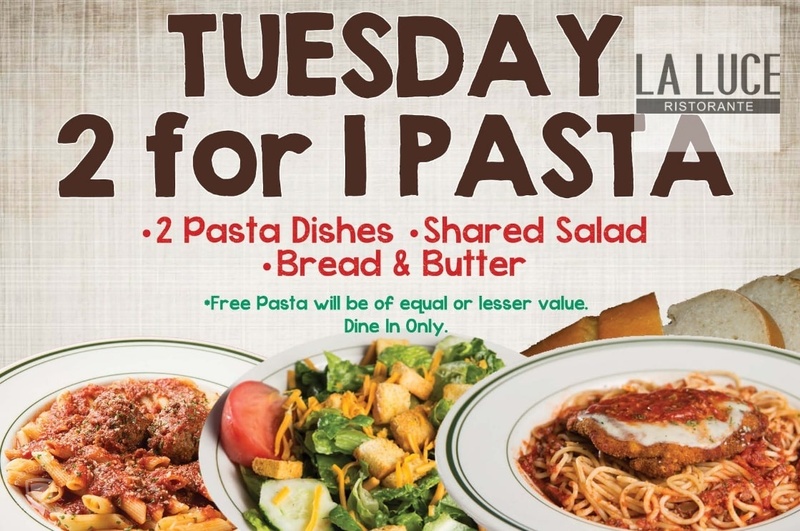 When you buy one pasta dish you get the 2nd one free. 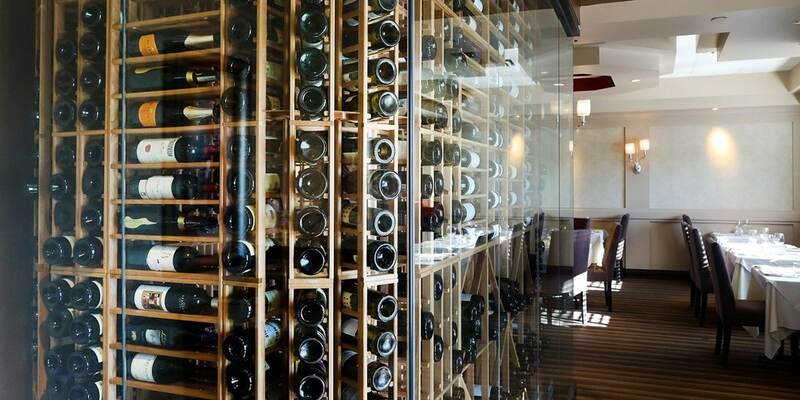 At La Luce Ristorante traditional Italian food is the focus of the menu. We use the freshest ingredients available. Our traditional Italian food is cooked in house, complimented by sauce that is made daily. Our seafood dishes are carefully selected and we have a wide variety of pasta dishes available. Each Italian dish is made with attention to detail. We take pride in knowing that our food will taste great with every single bite. We do not overlook taste and presentation. 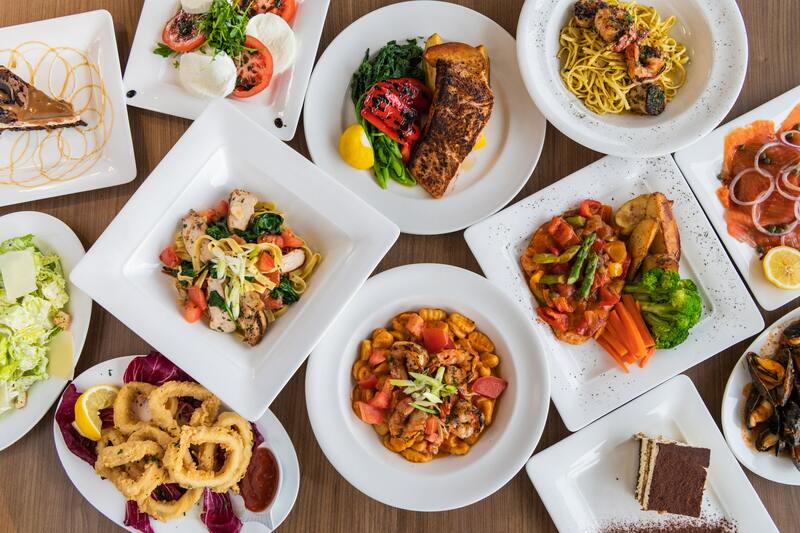 We’re ready to give you the authentic italian restaurant experience that you want. We are conveniently located in North York Toronto off Highway 400 at steeles which is closeby to Vaughan.